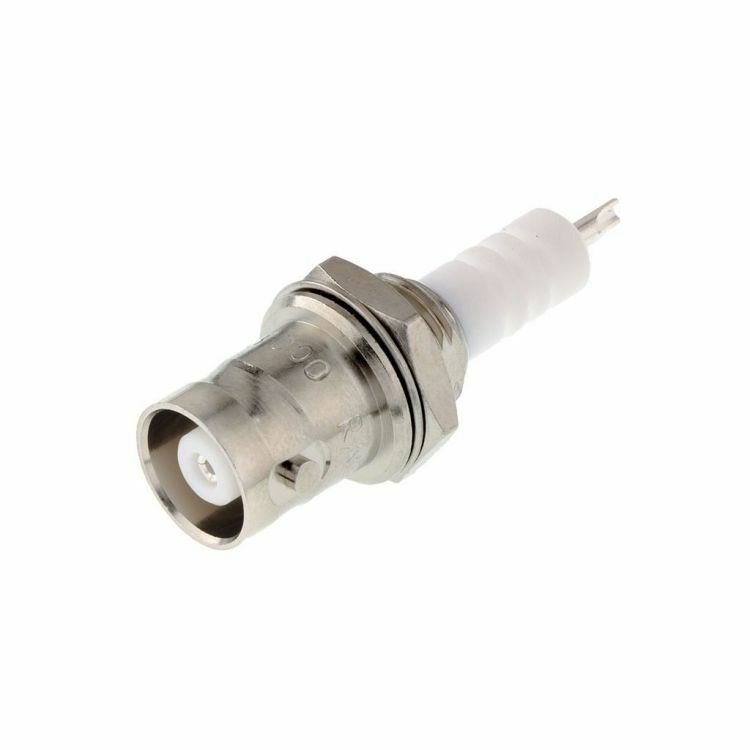 Bayonet coupling Miniature High Voltage connector, operating in the range DC-2 GHz. Radiall BNC HT connector is fully compatible with MHV. A mated pair of connectors is rated at 10,000 VDC. Although it looks very similar, BNC HT / MHV is not intermateable with BNC.